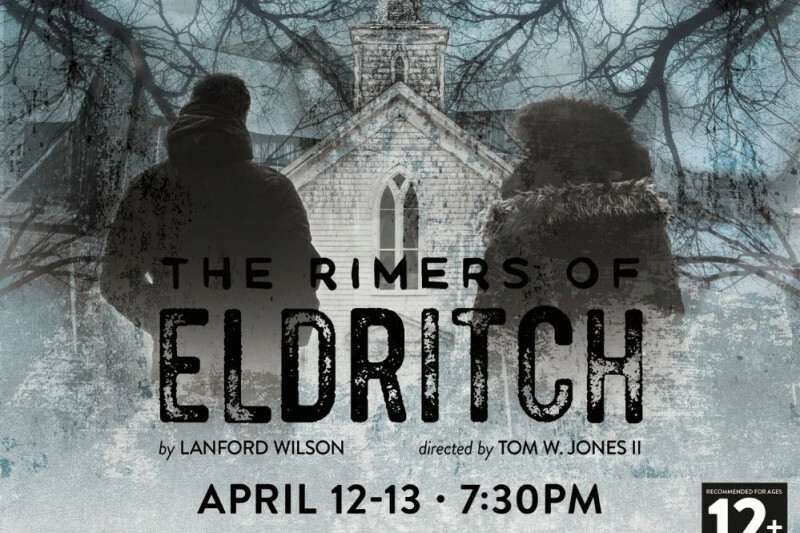 The Duke Ellington School of the Arts Theatre Department will present their production of The Rimers of Eldritch by Lanford Wilson on April 12 and 13. The performances will take place in the new Ellington Theatre at 3500 R Street NW, Washington, DC 20007. As a part of the Rimers of Eldritch performance, the Theatre Department has designed a campaign called MY TRUTH. This campaign is designed to empower youth from underserved communities to embrace and speak the truth about themselves, their families, and their communities. This campaign partners with organizations like Big Brothers and Big Sisters, DC Public Schools, Sandy Hook Foundation, BEST Kids, and Girls Inc. DC to help us identify unsung heroes who have positively impacted their communities by speaking out against injustices. These young change-makers will receive premium seating to the production of The Rimers of Eldritch, an invitation to our VIP reception, a meet and greet with the cast, and participation in a talkback with prominent change-makers and activists from organizations like the Human Rights Campaign, NAACP, and the Duke Ellington School of the Arts. The Rimers of Eldritch by Lanford Wilson is about two young people who are at a crossroads and have to decide if they’re going to follow the beliefs held by the town or find the courage to oppose those in power and speak their truth. We hope that the young participants of MY TRUTH will identify with the challenges the young people of Eldritch face. MY TRUTH is an opportunity for young people to feel encouraged to be leaders in their communities, meet new friends, learn something new, develop self-confidence, and feel like the VIPs that they are! HOW CAN YOU HELP SUPPORT THESE YOUNG CHANGE-MAKERS? Purchase an ad for your business or simply write a personal note of encouragement to these young men and women. If you'd like to make a donation only, each $30 you contribute will support one child. All ads are in black and white. Please send us a black and white ad or the resolution and clarity might be lost in conversion. Camera-ready ads can be sent via email to desatheater@gmail.com and should be both in JPEG and PDF versions. The deadline for camera-ready art is April 9, 2018. SUPPORT THE OVERLOOKED YOUTH OF DC BY SHARING THIS GO FUND ME PAGE! By sharing our Go Fund Me page, you’ll be contributing to the My Truth campaign which was designed to help empower the overlooked youth of DC to embrace their truth, whether it be in their families, their communities or even their own truth! The My Truth campaign will be rewarding them with VIP tickets to our show The Rimers of Eldritch at the Duke Ellington School of the Arts. THE SHOW IS FAST APPROACHING! We’d like to take a minute to honor our current donors! Thank you to, Paul Orzulak, Consuella Lloyd, Paul Warner, Marjorie Fairchild, Madison Cornell,Seth Brecher and Nimia Haydee Vanegas! We appreciate you all so much, you are incredible! With your help we are another step closer to helping kids experience our show, however, it doesn’t stop there! We still need others to contribute to the campaign. Remember that for just thirty dollars, you’re sponsoring a seat for one child. So far, we are able to seat 46 kids! IT’S YOUR LAST CHANCE TO BUY AN AD IN THE PROGRAM! Need some promotion for your business? Want to show your child some LOVE? Now’s your chance! Reserve a space in our program today! All proceeds will go to the “My Truth” campaign which will we be rewarding overlooked kids of the area with an opportunity to watch our show “The Rimers of Eldritch”, with VIP treatment. By buying an ad, not only will you be securing a seat for a child, you’ll also be promoting your business to over 3,000 people! 5 DAYS LEFT UNTIL THE RIMERS OF ELDRITCH OPENS AT ELLINGTON! We’re almost at our halfway mark, but we still need to continue climbing towards our goal. A REMINDER THAT THE DEADLINE TO BUY A SPACE IN THE PROGRAM HAS EXTENDED! You now have until Monday April 9, 2018 to buy a space in the program. They’re perfect for promoting businesses and even showing your child some love. Please remember that no donation is too small. Every dollar we raise will help the “My Truth” campaign bring in an unsung hero who has done well to serve their community, to watch the show with VIP treatment.